Following a series of tragic incidents there is understandably a lot of fear that surrounds air travel, but nevertheless- flying is safe. Compared to other forms of transportation,j traveling by car is 100 times more deadly than flying in an airplane. Here are some of the facts about plane safety, you should know about, before you board your plane. Mobile electronics won’t bring an airplane down, but here’s why they’re dangerous. 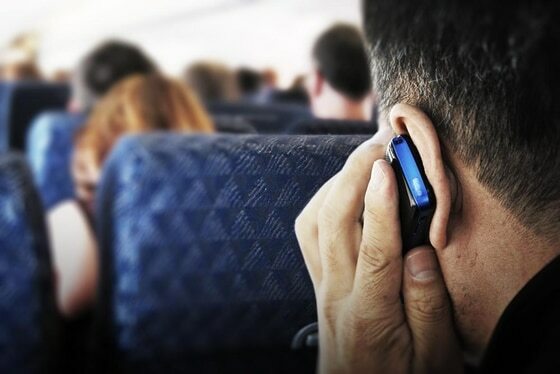 The portable electronic devices, such as mobile phones, remote-controlled toys, etc., can emit powerful electromagnetic radiation that can interfere with aircraft navigation, communication systems and endanger a flight. All electronic devices need to be turned off during take-off and landing. Handheld devices such as tablets, e-readers can be used during all phases of the flight if they are in “flight safe” mode before the departure. Laptops. Notebooks and Bluetooth devices may be used during boarding, but not during take-off or landing. They may be used in-flight if the WI-FI is switched off or set to “flight safe” mode. What happens to the human body when a plane crashes at high speed? The human body consists mostly of water. So, your body will probably explode, depending on the speed of impact during a crash. During high speed descent, a rapid compression fall in the cabin makes passengers pass out. Airplanes should have shoulder straps because the shoulder harness allows to hold the body in place. Your head can continue to rip of your body, during the process of crashing. The jolt of the impact may cause a neck to snap. There is the possibility of a human body cut in half. In severe Air Force crashes, foot prints are used because the only part of the body left to identify, are the feet inside the boots. If a plane hits the water and you survive you may succumb to hypothermia or if your head goes completely under water there is a serial possibility of brain damage. The life jackets are mainly for body recognition after the plane crash. You should inflate your vest after you exit the plane because overwing exits are small and there is the risk of being trapped in the plane under water. Each of the plane components is manufactured by the lowest bidder to reduce the cost. Airlines are forcing pilots to take off with less fuel than recommended. A full fuel tank isn’t necessary for a safe flight, as long as it’s enough to reach your destination, plus an additional 45 minutes of flight time. In case of fire you only have 90 seconds to exit the plane. If you are not 5 rows away of an exit you’ll be in trouble. The safest seats are in the back of the plane. On some occasions the plane is held by aluminium bonding tape that costs a hundred dollars per tape. All of these repairs are made only to superficial surfaces as a quick external fix.